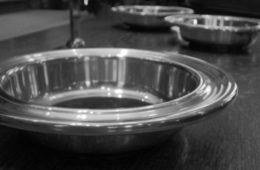 Does Passing the Church Offering Plate Still Make Sense? Is passing the church offering plate necessary anymore? Beka is the Inbound Marketing Coordinator at Pushpay and eChurch Giving. In her spare time, you can find her reading, writing, crafting, creating, and thinking up ways to make good things better.